For those who haven't been able to pick up the paperback Kingdom Hearts publications that have been released in the past couple years, Yen Press has now conveniently begun releasing their English publications electronically via e-books. On March 21, 2017, Yen Press released Kingdom Hearts: The Novel electronically for $7.99 USD. Furthermore, on April 18th, Yen Press will be releasing Kingdom Hearts Chain of Memories: The Novel electronically for $7.99 USD. 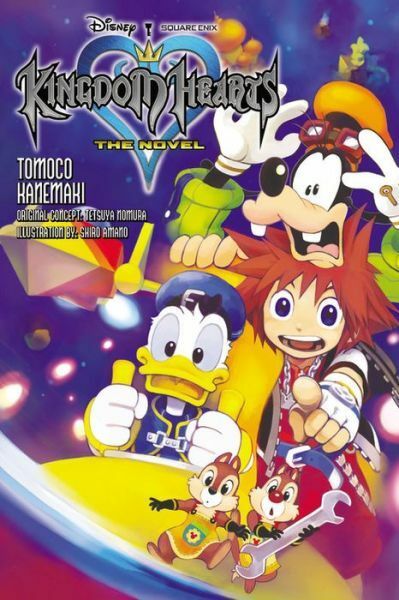 With these electronic releases, Yen Press will also be releasing the newest publications Kingdom Hearts II Vol. 4 ($6,99 USD electronically) on May 23rd & Kingdom Hearts II: The Novel Vol. 1 ($7.99 USD electronically) on June 20th, both available for the first time in English and for purchase electronically on day 1. You can click on book titles to check the book page and find out where to buy each e-book. Unfortunately, YenPress never released the novel scheduled for release last Tuesday. The older releases are sadly also full of editing arrows that have never been fixed since December. Some retailers are missing entire volumes and blame YenPress for the sloppy handling. Please help spread the word and let YenPress know that they need to step up their game with Kingsom Hearts releases. 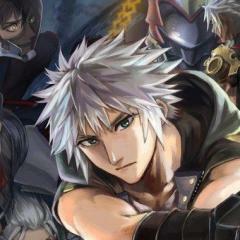 It would be great if all the Kingdom Hearts Manga and Novel releases were available digitally. Yes me too can I still buy it somewere?i think it was an exclusiv right? Since I live in France, I can't tell. I bought mine in a manga shop, I think that if you one of that kind of store they can order it for you. Thanks for showing this to us, Dengojin! While I'm not one for purchasing books digitally, I'm sure this is a convenient and efficient solution for people who just don't have time or don't have the means with which to obtain the paperbacks of these publications! But me, personally, I'll stick to physical manifestations of books. I prefer the new book smell and having it in my hands, ya know? 8 Which world is the hardest on Critical mode? 1. Which world is the hardest on Critical mode? Which world is the hardest on Critical mode? Kingdom Hearts III Mickey Bring Arts Figure available for preorder soon on AmiAmi for ¥5,630 (about $50); releasing in September.